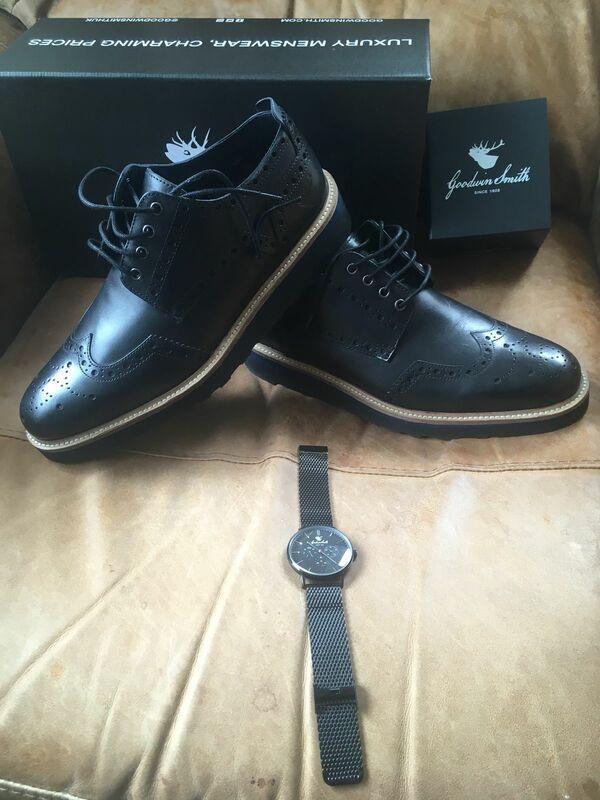 Bolton Black casual derby brogue. A modern twist on a classic brogue, teaming a hand burnished leather brogued upper with a stylish wedge unit. 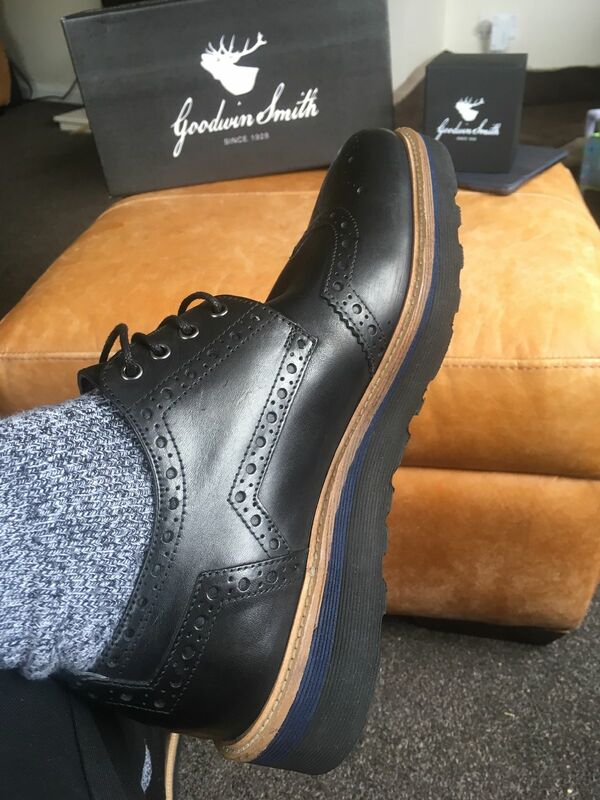 Includes a brogue detailed winged toe cap and top line channels with GS stag logo debossed to outer heel area. Leather and textile lining printed with GS stag logos and padded leather sock with GS logo embossed in gold. Durable TPR wedge unit with anti-slip tread detail topped with leather welt. Available in tan and black. 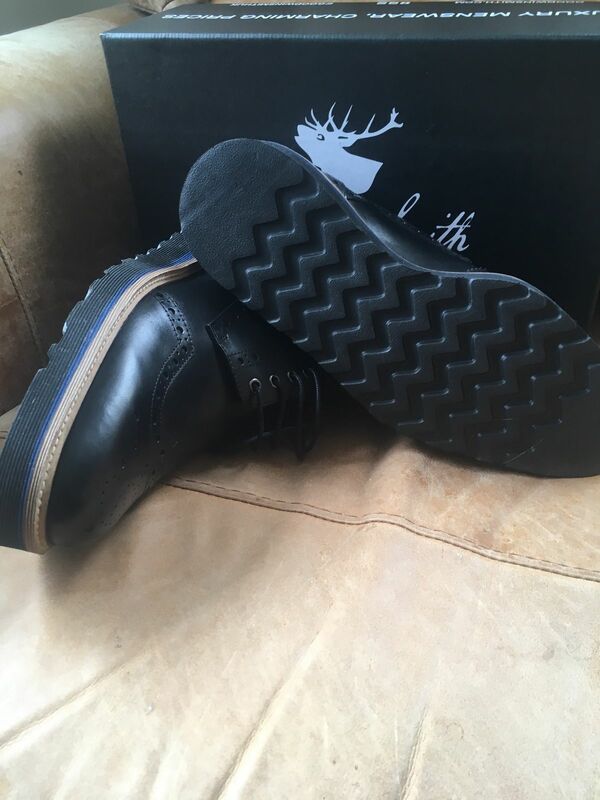 We have used a superlight, hard wearing sole made from a unique formula. Features a mud-shedding, shallow cleated sole. This may well be the most comfortable smart shoe you will ever wear.